Treadmills can last a long time. (Especially if you only use them as coat racks.) Let’s say you bought a high-end treadmill ten years ago. Maybe you bought it for home or maybe you’re outfitting a small fitness center for your office or hotel. 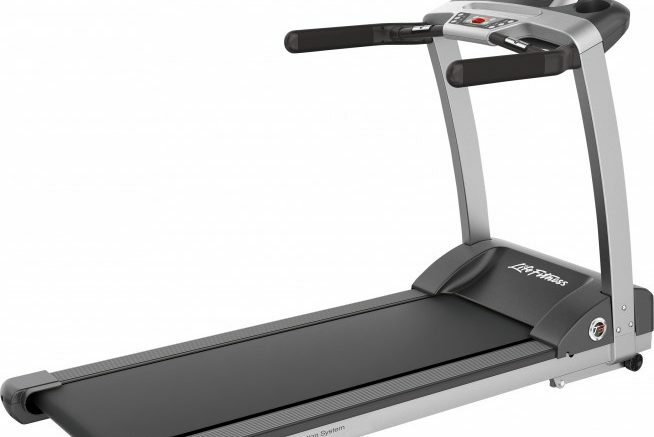 A lot of high end treadmills started coming with built-in TVs starting around 2005. However, not all of them are designed to take an HD signal. It’s a tiny screen so…. …manufacturers thought that it wasn’t important to put HD receiving chips into a treadmill. Truth is, you wouldn’t really notice the difference. With a 12 or 13″ TV, there’s just no way your eye could make out the level of detail it takes to distinguish SD from HD. Until just a few years ago, HD tuners were fairly expensive. So, manufacturers left them out. This generally wasn’t a problem. Whether you were trying to watch satellite TV, cable, a DVD, or something else, nearly everything had available standard definition outputs. You just needed to connect them. The treadmill part still works great and you’ve finally decided to set foot on it. So what can you do? the answer is actually easy. Simply choose non-4K equipment. All of DIRECTV and DISH’s products will output a standard definition signal. Some require a special cable. If you don’t see SD outputs on your satellite box, call Solid Signal at 877.312.4547 to get the parts you need. If your fitness equipment can tune live TV and it was made after 2004, it should work with today’s antenna signals. You shouldn’t need any extra hardware. If it was made before 2004 you might need a converter box. The video won’t be true high definition, but the screen is so small you won’t realize it. Fitness centers and other large exercise areas often use headends to distribute signals from machine to machine easily without having satellite receivers or cable boxes at each machine. Most industrial equipment is designed to handle it. In a case like that, you can use standard definition modulators as part of your headend. They run about the same price as HD ones. They are still very common so you shouldn’t have to worry about anyone running out. There are some options out there that will translate an HD signal to an older standard. However they tend to be expensive. You’re better off in that case looking for an older used streaming box on eBay or something. If you can find something with composite RCA outputs, it can usually be adapted to work with older exercise equipment. With live TV built into your exercise equipment, there’s absolutely no reason not to get fit this winter! Call or visit SolidSignal.com to get the accessories you’ll need. (DIRECTV ONLY) Can you add a splitter to another splitter?